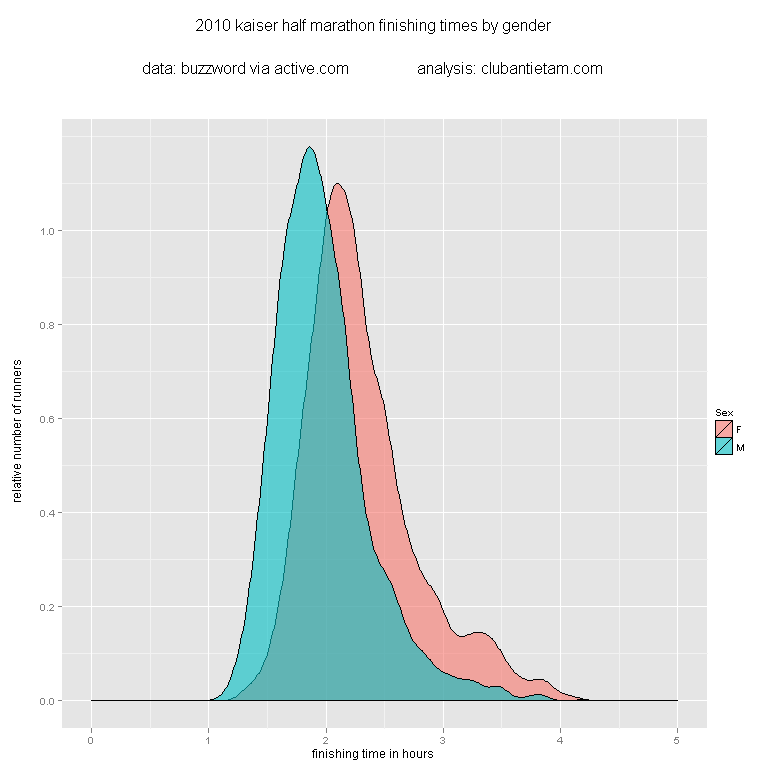 Males generally finished the race faster. There were more female runners (I wonder why?). The fastest age group looks to be runners in their mid 20s. 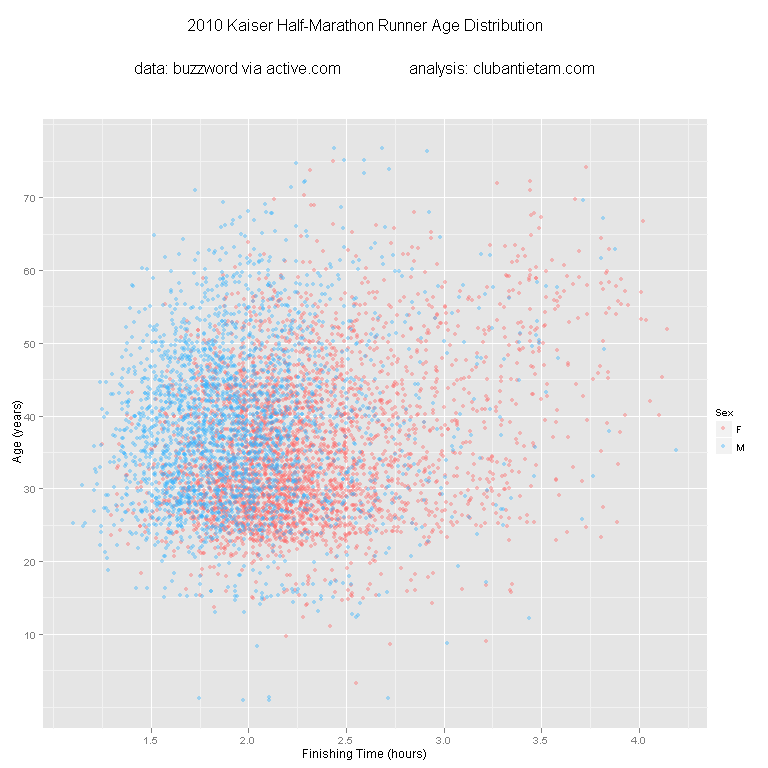 There are a few data points where I’m guessing no age was given and therefore the runner was assigned the age of “1”. I’m impressed at the people who are still completing half marathons in their 60s and 70s! More charts to come, maybe!